Looking for a place to have fun with your friends over the weekend? 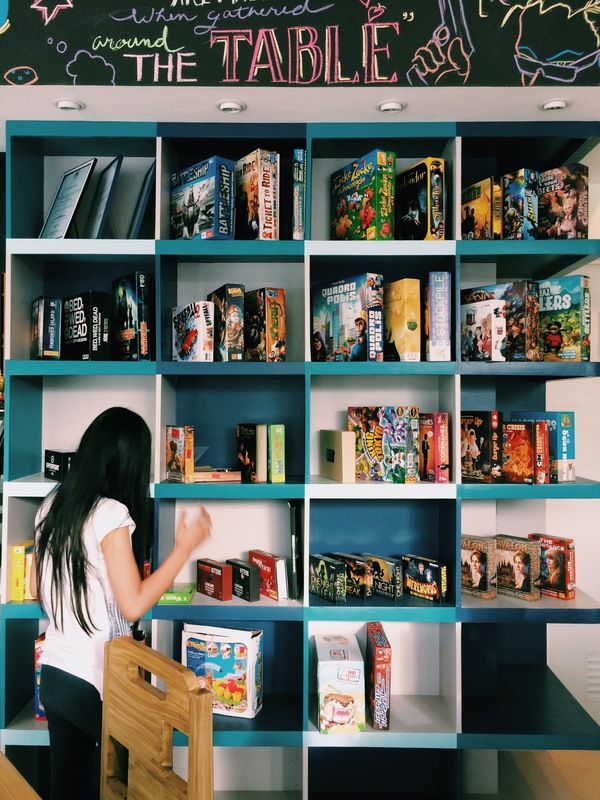 Lay off from your computer and phones for a while and try Gensan’s new trendsetter, The Blocks Board Game Cafe. 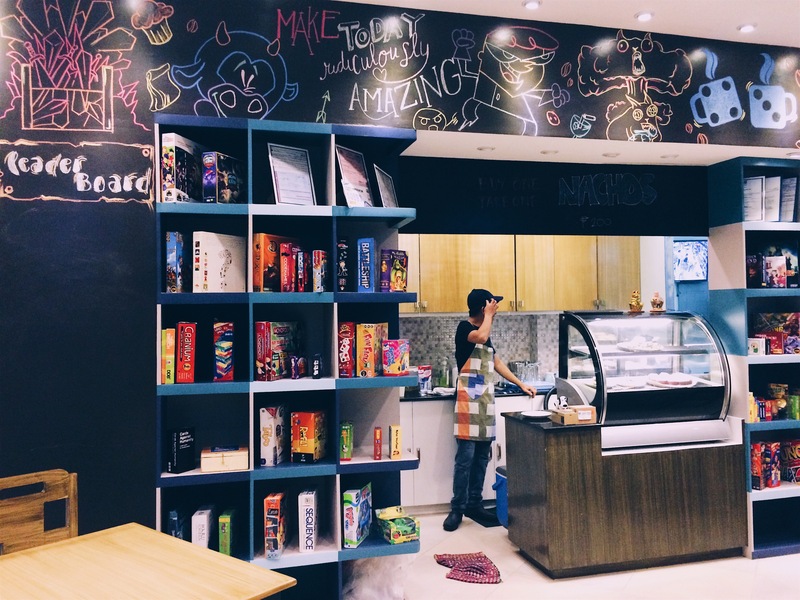 The Blocks Board Game Cafe is not your typical cafe. 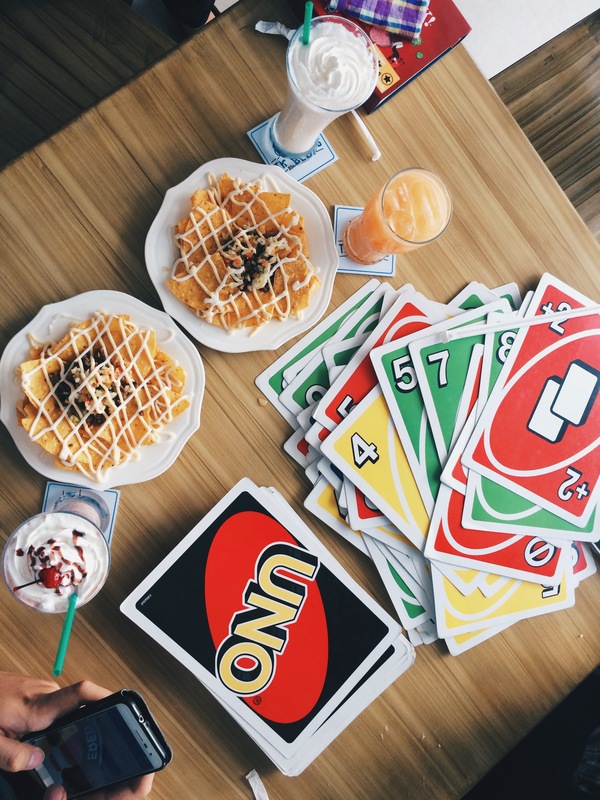 It’s one of the first themed cafes in Gensan offering a variety of board and card games where the whole gang can enjoy. The cafe opened last October 22, 2017. It is located at Block 1, Corner Aparente Street, City Heights in General Santos City. If you think board games are for nerds and for kids only, then think again. The Blocks Board Game Cafe refutes the notion as even cool kids and grown-ups can enjoy their board games and card games. 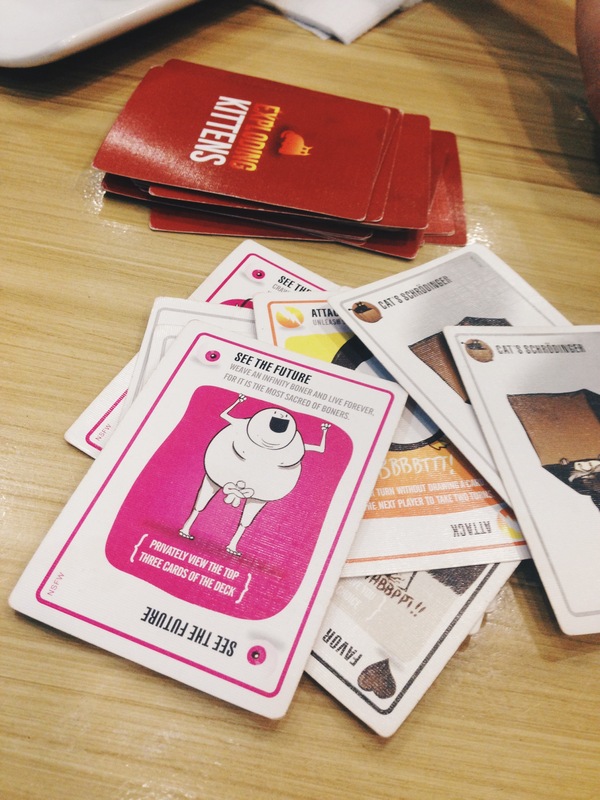 You can even play #NSFW card games. 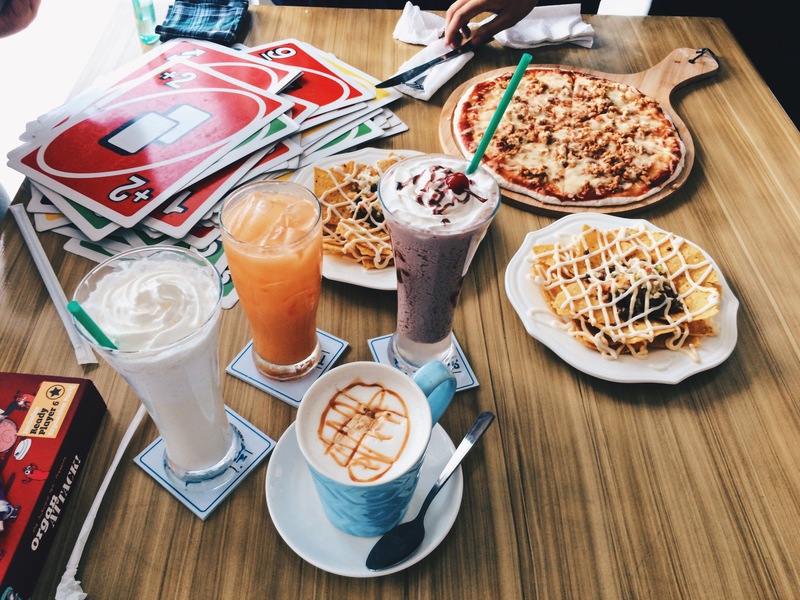 The Blocks is a cafe that will test your friendship as you and your friends find yourselves competing over famous board games and card games such as Monopoly, Jenga, Uno, Pie Face, Big Bad Dog, and more. You can go on playing for four hours or more. So, have yourself a taste of the food and drinks they offer. They offer delicious nachos, sliders, pizzas, pasta, rice meals, and beverages. If you prefer drinking coffee while you laugh at your defeated friends then you can order iced or blended espresso drinks. 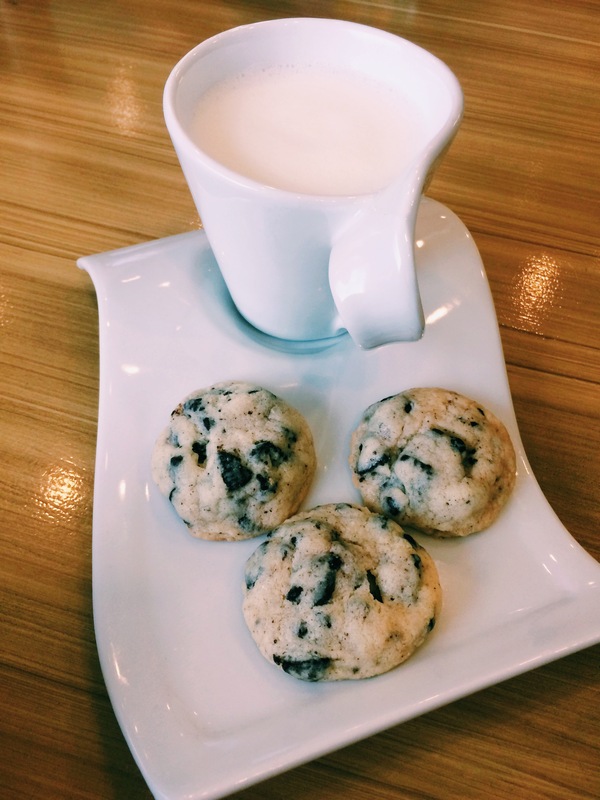 You can also enjoy a cup of hot milk with chewy and delicious oreo cookies. 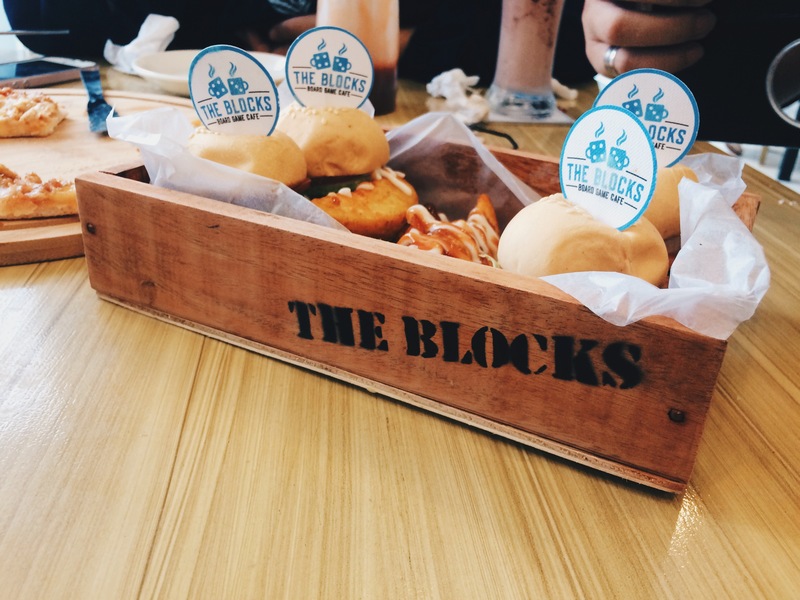 The Blocks is a cafe that you can locate easily. 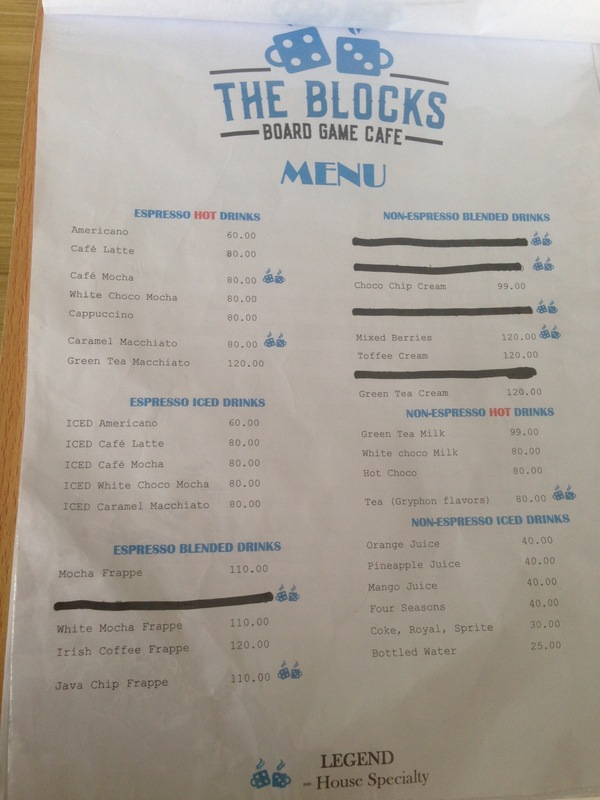 If you happen to drive around City Heights, you’ll be able to spot The Blocks Board Cafe in no time. You can even walk to the cafe if you’re coming from Notre Dame of Dadiangas University. 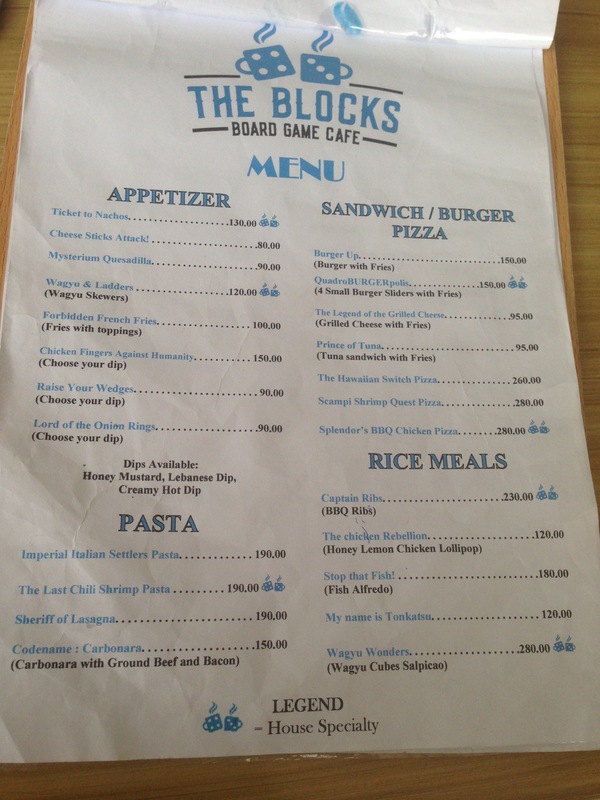 The Blocks Board Cafe is one of the cafes in Gensan that kids can afford. 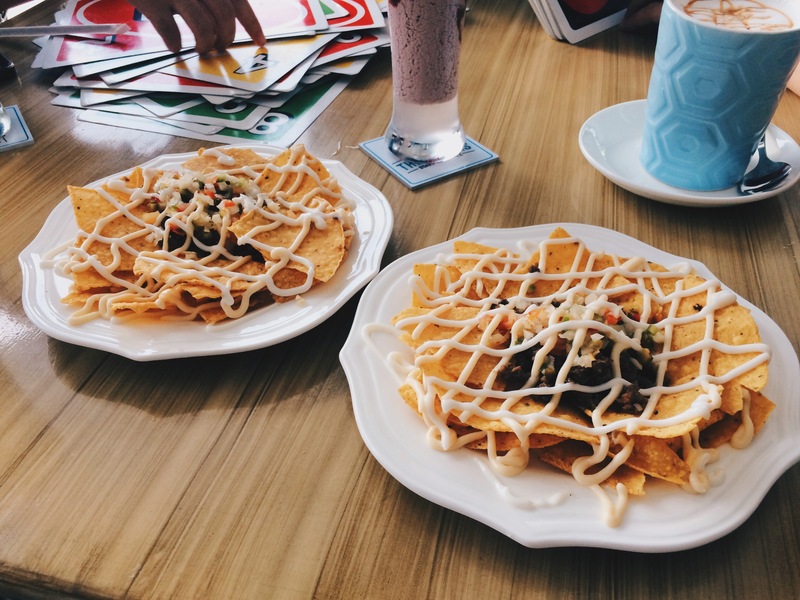 It isn’t as luxurious as other restaurants or cafes in Gensan. The food ranges only from P80-280 per menu. Appetizers such as their Cheese Sticks Attack! and their Forbidden French Fries cost as low as P100. 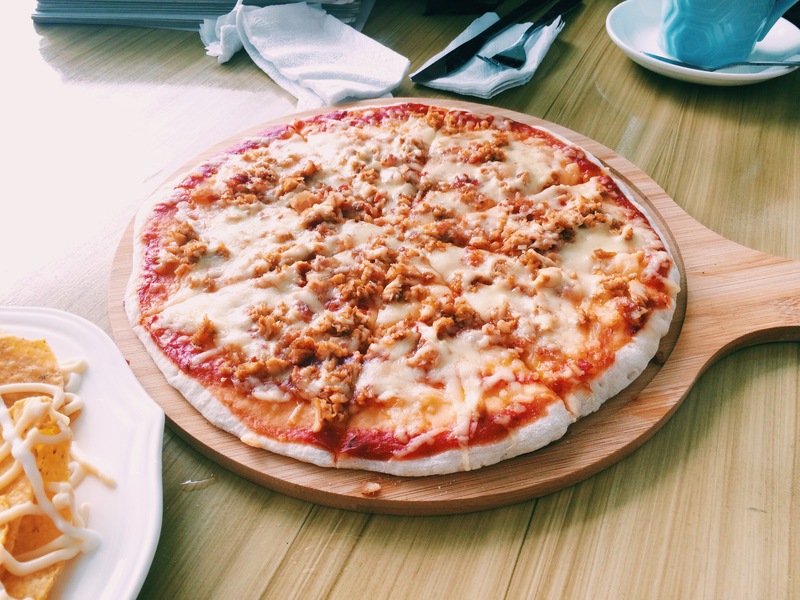 Their pizzas costs less than P300 and is already good for four to six people. Their drinks cost as low as P30 to P120 only. 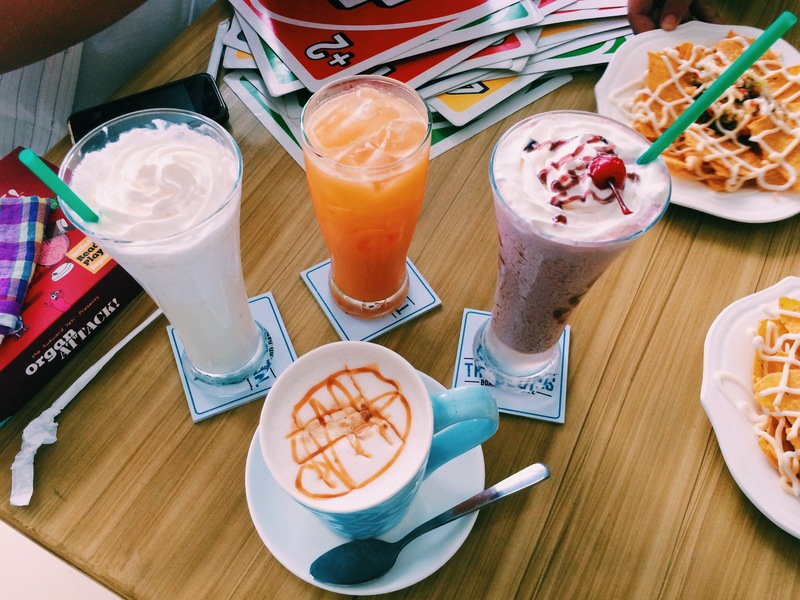 You can order delicious blended drinks at P99. 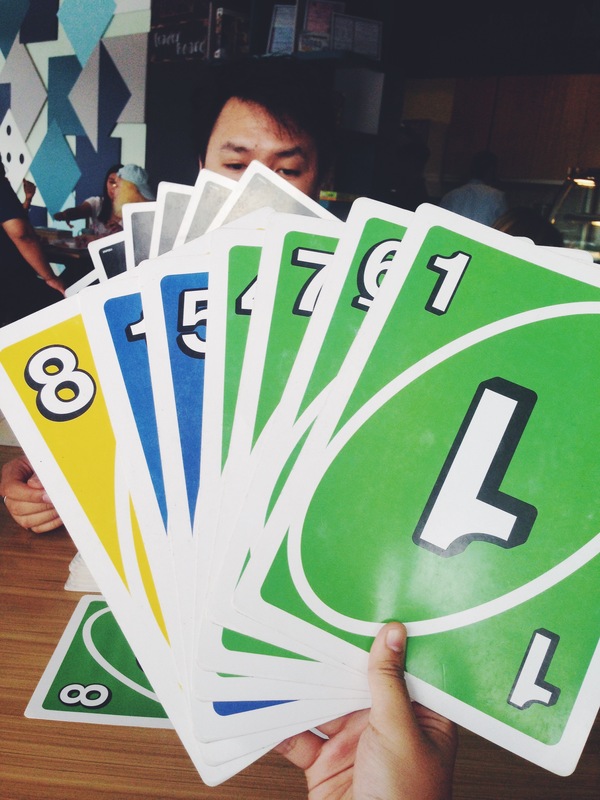 If you’re not hungry and just want to enjoy some board games, it will cost P100 per person to play. 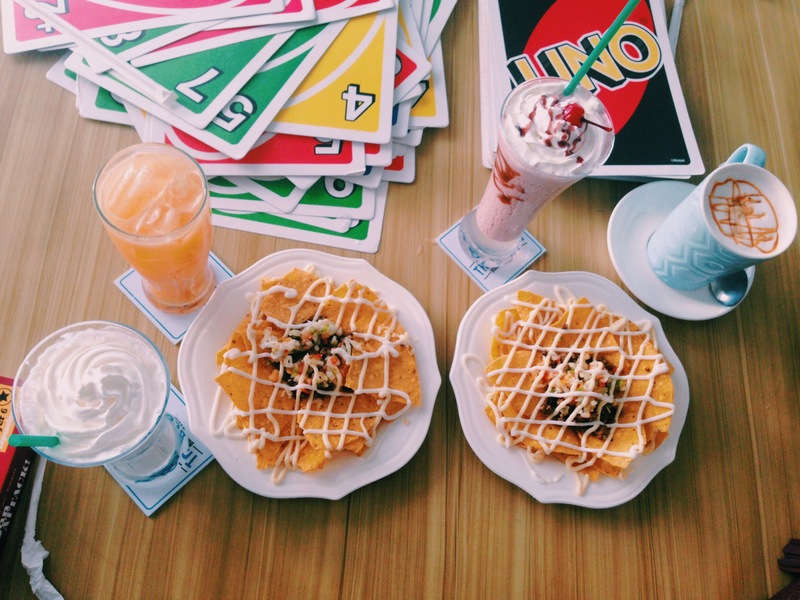 The Blocks Board Game is a cafe with comforting colors and design. It is clean and well maintained. It is also a child friendly place. 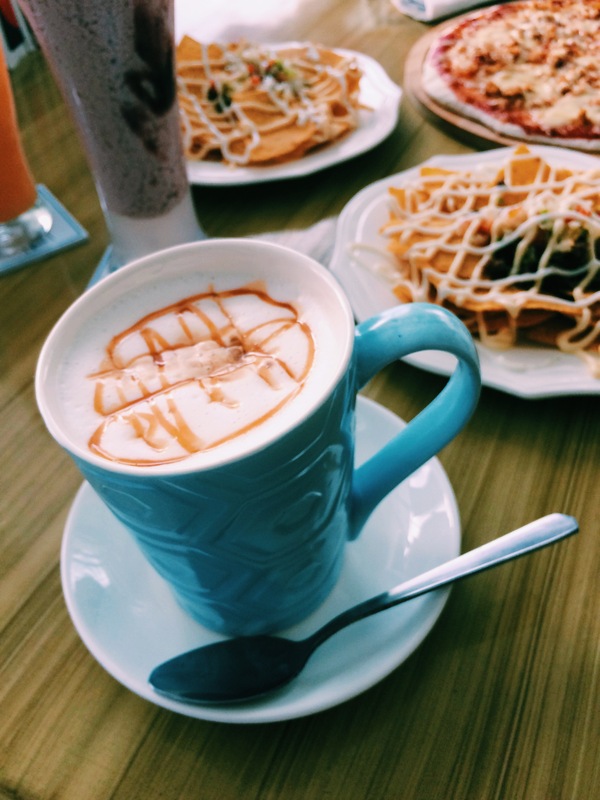 It is one of the cafes that can lighten up one’s mood the moment you step at the cafe. Everyone is laughing and in a cheery mood. You’ll see that everyone has a smile plastered on their faces and are enjoying theirselves. Their crew is also attentive to their customers needs. Their game masters are accomodating, friendly and patient. Their drinks is quite generous and sweet. Affordable and quite comforting. Their pizza is good because the sauce and meat complements each other. However, it still needs improvement along with their nachos. I prefer a different type of pizza dough compared to what the cafe used. Their nachos were deliciously crispy. However, it wasn’t served hot and the meat is a little dry for my preference. I have to commend the flavor of their sliders. The beef patty is deliciously steaky. The garnish and condiments make it more flavorful. Their milk and oreo cookie is also one best buy. The cookie is creamy and chewably gastronomical.